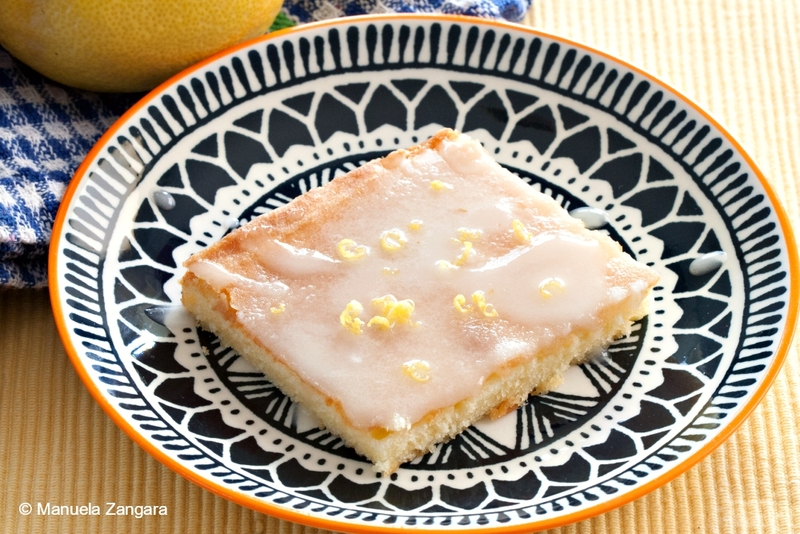 Today I am sharing with you the recipe for a delicious Low FODMAP Lemon Cake. FODMAP (fermentable oligosaccharides, disaccharides, monosaccharides, and polyol) is a term that describes a group of foods that contain indigestible nutrients that feed bacteria in the gut. A low FODMAP diet limits or eliminates these foods. The goal of this diet is to limit FODMAP containing foods which are fermented by bacteria in the intestines. Fermentation of FODMAP containing foods may lead to increased gas production and negative effects like bloating, distention, and exacerbation of Irritable Bowel Syndrome (IBS). However, you are not supposed to go on this diet forever, as it is proposed that a long-term low FODMAP diet may reduce the quality of the beneficial microorganisms found in the colon known as the microflora. This is due to the lack of fermentation of foods which in turn starves these microorganisms and causes them to die off, and that’s not good. So, you need to slowly try and reintroduce high FODMAP foods in you diet after testing to discover your tolerance levels. I am not a dietitian (and I strongly recommend you talk to your doctor or a certified dietitian if you suspect you have IBS), so I am not going into more details about this, but check out the Monash University site for more info. After having my gallbladder removed, I didn’t quite fully recover and I am still struggling with gut issues. I was diagnosed with lactose intolerance first, and IBS later. But following a low FODMAP diet is really helping. So, as Manu’s Menu is the space where I share all the dishes I make and eat, I will also be sharing some low FODMAP recipes in the next few weeks. Even if you don’t follow this diet, you can still enjoy them. I promise they taste delicious, or I wouldn’t share them with you! 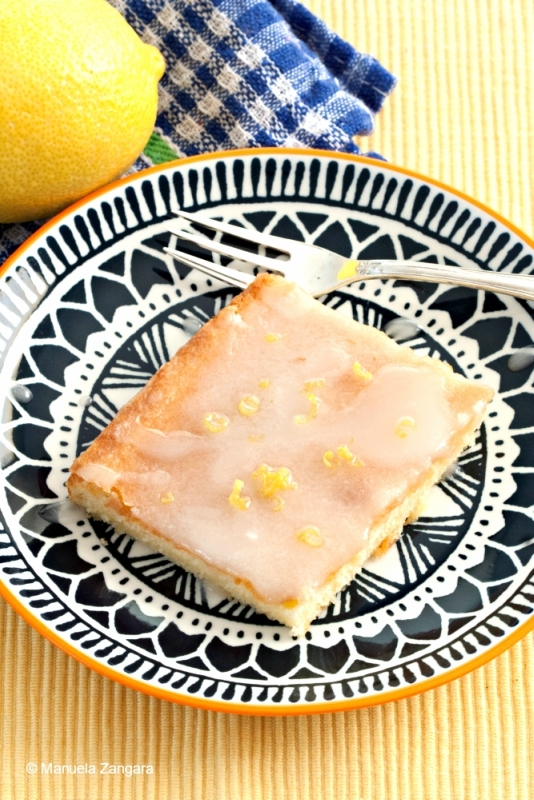 This low FODMAP lemon cake certainly is a great start! 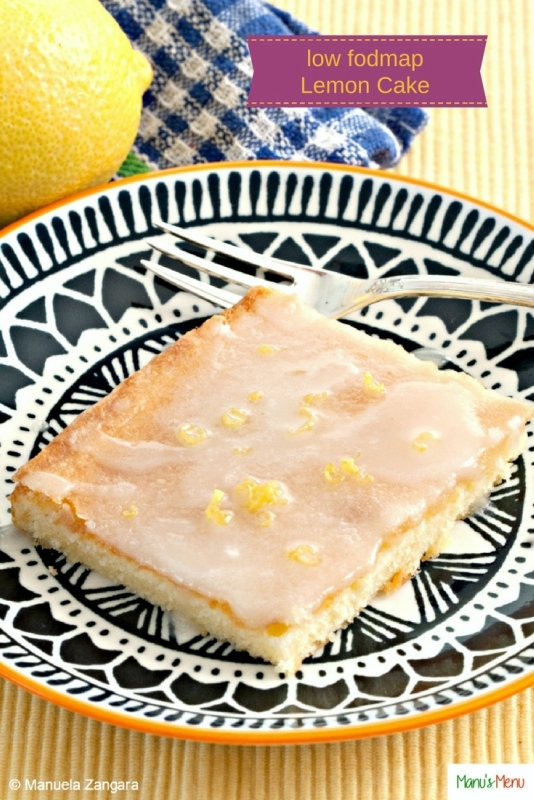 It is lemony, delicious and has quite a bit of zing to it! Enjoy and let me know how you like it in the comment section below. Also, don’t forget to check out the video recipe. 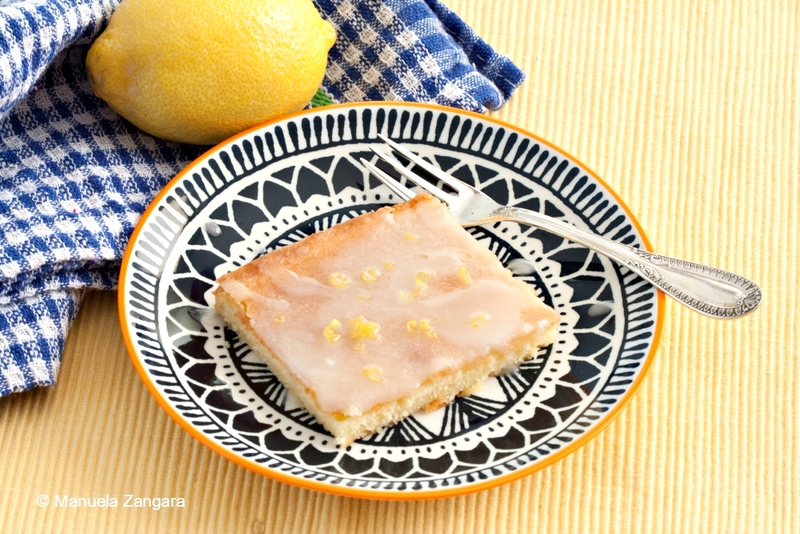 Low Fodmap Lemon Cake – This low FODMAP lemon cake has a bit of zing to it! 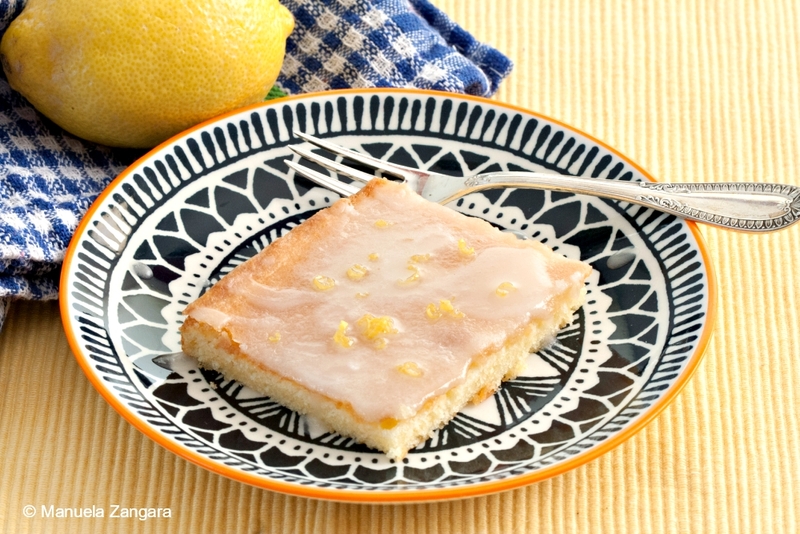 It is the perfect cake if you have lemons lying around that you don’t know what to do with. 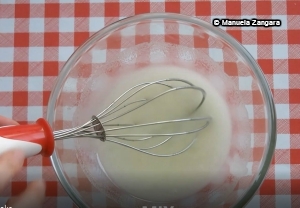 In a smaller separate bowl whisk the lemon extract, lemon juice and eggs until well combined. 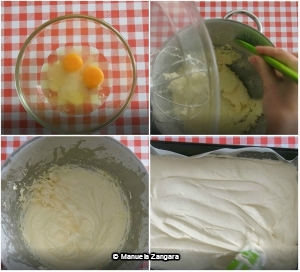 Pour the egg mixture into the dough and beat until smooth. Pour the batter into a greased 20x30cm (8x12 inches) baking tin and bake at 180°C – 355°F for 20-25 minutes, until the top is golden brown and the cake feels springy. For the glaze, mix together the icing sugar and lemon juice (add this little by little, as you may need less). Once mixed, pour the glaze onto the top of the cake and spread with a spatula. Sprinkle some lemon zest on top. Allow to set before cutting into 12 squares.